Eighth-grader Lakaysha Governor spends two hours on the bus getting back and forth to school each day. Thanks to a grant from Google, she can now use that time more productively and get her homework done, reported Meg Kinnard of the Associated Press. The aspiring forensic anthropologist is one of nearly 2,000 students in South Carolina's rural Berkeley County who will ride to school on one of 28, Google-funded, WiFi-equipped school buses unveiled Monday. The tech giant also has given the school district 1,700 Chromebooks, the stripped-down laptops on which many schoolchildren now do their class and homework. 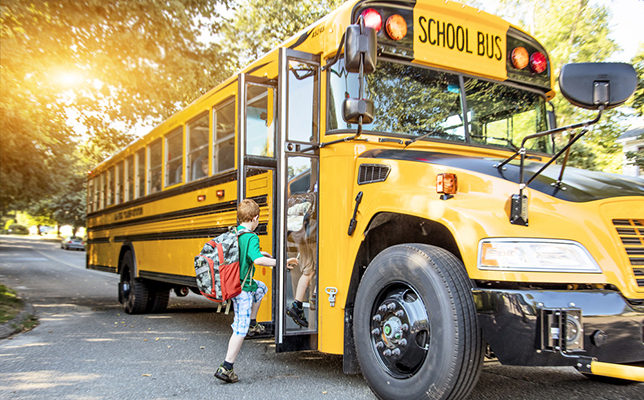 As more class assignments and homework migrate online, such long bus rides have generally counted as lost time in preparing for the next school day. But Google said it hopes to help expand the use of WiFi on school buses in other rural areas elsewhere around the country. Google has at least a decade-long relationship with Berkeley County, where it has invested more than $1 billion in data center complexes since 2007, creating more than 100 jobs. Google says it also has awarded nearly $2 billion in grants to local schools and nonprofits. Google hopes to see the WiFi program extended into other rural areas of the United States, including locations where it already has data centers that process search queries and other information, according to Lilyn Hester, a Google spokeswoman based in Chapel Hill, NC. The first such effort was launched last year in Caldwell County, NC, where a data center already exists. "Why don't we make that instructional time?" Hester said to the Associated Press of officials who have mused about the time many students spend on school buses. Google is also looking for ways to make the high-tech buses useful outside of school hours, working with the school district and community on places the buses can go once the school day is done to bring connectivity elsewhere, such as a community center or fellowship hall. Lakaysha, the eighth-grader who has her eye on Harvard University, has internet access at home like most of her friends. But thanks to the WiFi buses, she can get ahead on her work. Teachers are happy, she said, because "more students are doing their homework." And she said even rambunctious preschoolers aboard the bus are quieter in the mornings while older students are doing homework. "Now that we have the Chromebooks and the WiFi, they're kind of quiet; so it's good for everybody," she told the Associated Press.